One of the most challenging efforts you can make in improving your health is deciding to embark on a weight loss journey. Weight loss is hard. Not only is it physically challenging, it takes an emotional toll as well. Social media and the Internet have made weight loss even more lucrative, breeding a new generation of weight loss gurus, claiming to have expertise in helping people reach their weight loss goals. The weight loss industry is booming, and there is no shortage of weight loss programs available today. Between July and November of 2017, I lost over 25 lbs with Weight Watchers, and have managed to maintain that weight loss. Regardless of the weight loss plan you choose, it is important to have a plan in place to help you successfully lose weight. 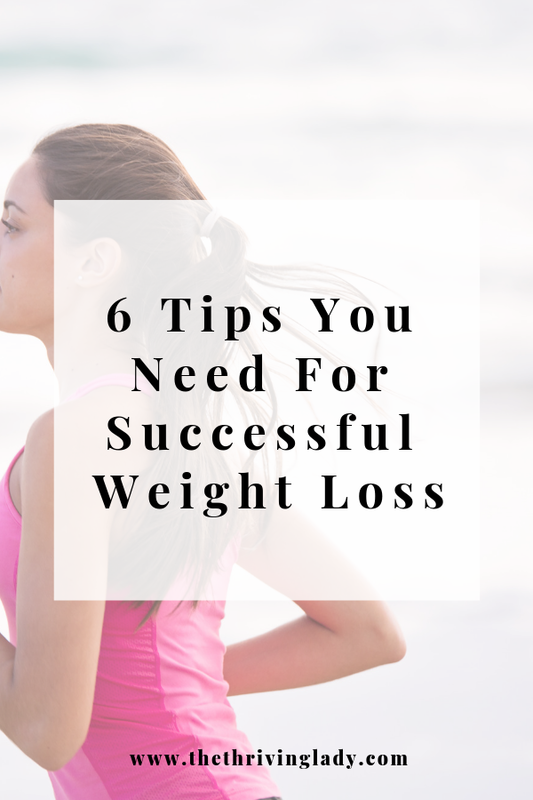 With that in mind, here are 6 tips to help you prepare for weight loss. Any responsible weight loss program will encourage participants to consult with their doctor before beginning the program. If you have a chronic condition, such as diabetes or hypertension to name a few, I would strongly advise you to speak to your healthcare professional about your weight loss goals before starting a program. Having this conversation will lower your chances of harmful effects that could result from changing your diet. The reality is that certain health conditions are not compatible with all diet plans. Your health should always come first, so it is worth it to talk to your doctor or other health expert to ensure healthy and safe weight loss. Doctors, nutritionists, and other qualified professionals have warned us many times that fast weight loss is not sustainable. Still, many are still lured in by programs boasting quick weight loss in a short amount of time. Let’s decide right now to abandon those unrealistic claims and set some attainable goals for weight loss success. What is your ideal healthy weight range? What is a realistic time frame for weight loss? Given your lifestyle and obligations, how much time can you devote to preparing meals at home? Exercising several days a week? Are tools like gym memberships or weight loss programs in your budget? Remember, weight loss is not a competition. Setting goals that are sustainable over the long term will lead to greater success. You’ll also avoid setting yourself up for disappointment by creating unrealistic goals. 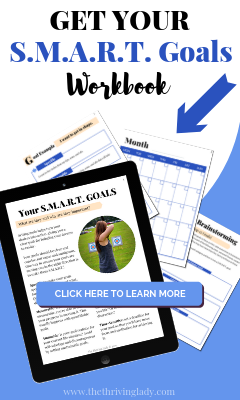 Set Attainable Weight Loss Goals With Your S.M.A.R.T. 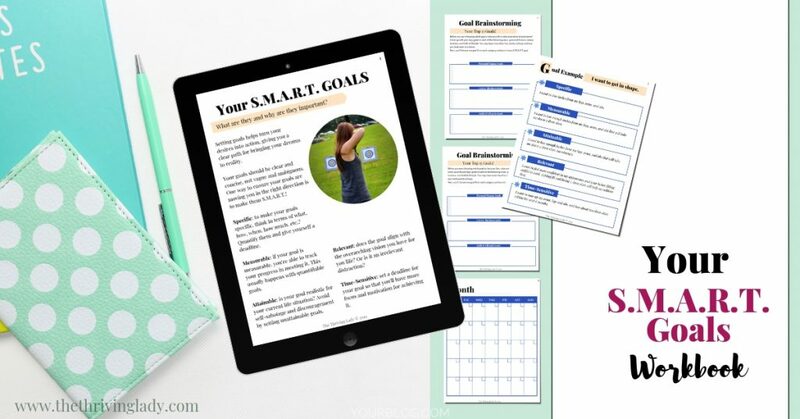 Goals Workbook! I believe that preparing your own home-cooked meals is one of the best ways to ensure your weight loss success. Can you lose weight while eating out at your favorite restaurants? Absolutely! An occasional indulgent meal from that awesome Chinese take-out place around the corner is fine. The problem for many people is that eating out is more than an occasional occurrence, which takes a toll on your health and your wallet. One of my favorite tools to use for home-cooked meals is the Instant Pot. The instant post is a multi-cooker that functions as a pressure cooker, slow cooker, steamer, and more. When I’m craving fried food without the oil and mess, I use my Dash Compact Air Fryer! I make all kinds of delicious foods from french fries, fish, and spring rolls without having to use a lot of oil. Weight loss is not about depriving yourself of good, comforting food. It is about moderation; making healthier choices most of the time while enjoying comforting foods occasionally is a recipe (pun intended!) for success. One of the biggest obstacles to successful weight loss and maintenance is portion control. Yes, portion distortion is a thing! Take a look at the photos in this article from the National Institutes of Health. It is very telling, showing how portion sizes have changed significantly over the years. Before I got serious about my weight loss journey, I would eat most, if not all, of the food on my plate. This would thwart my weight loss efforts tremendously, causing me to take in more calories than I needed in one sitting. One of my most helpful tools for managing portion sizes when cooking is a food scale. I use my Ozeri Food Scale every day, following the serving size on nutrition labels. It’s simple to use, and helps to keep me on track, especially with portioning out my snacks. The familiar Theodore Roosevelt quote, “comparison is the thief of joy,” definitely applies to weight loss. I fell victim to the comparison trap in my own weight loss journey. A friend and I started Weight Watchers around the same time, and it seemed like her weight just fell off overnight! Needless to say, I started doubting myself, comparing my progress (or lack thereof) to hers. Not only did this make me feel awful, it also did nothing to help me. As a matter of fact, it almost caused me to give up and quit the program. The reality is that weight loss progress is unique to everyone. The time it takes you to lose weight will vary, depending on many factors, so there is no use in comparing yourself to others. Put your blinders on and stay on your own path! YouTube.com – Find thousands of people documenting their weight loss efforts, whether calorie counting or following a specific plan. There is something for everyone! Going into your weight loss journey with a plan is crucial for success. 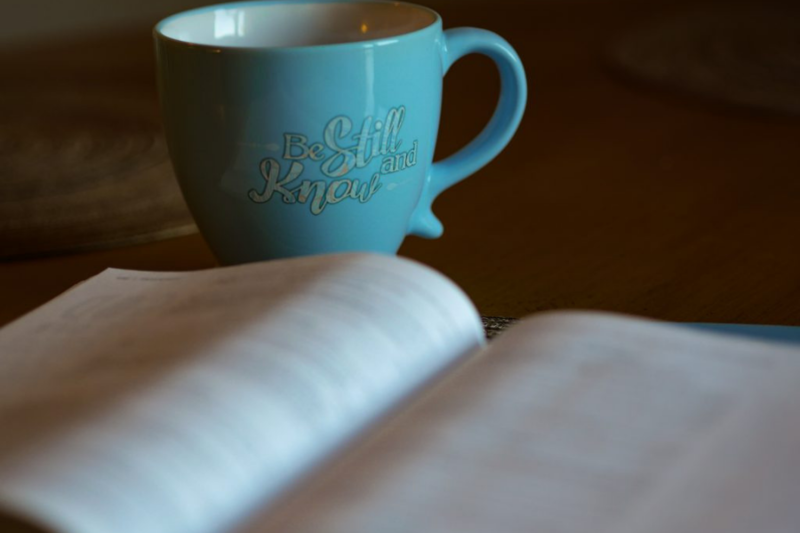 Remembering the following tips will have you crushing your goals while enjoying the process. Which of these tips are you going to use to start your weight loss journey? Subscribe for password access to the FREE Resource Library! You'll also get the Weekly Newsletter delivered straight to your inbox! You are absolutely right. There are so many quick weight loss promises out there. It can be hard to stay focused because of the love/hate relationship that many people have with food. Weight loss is truly a lifestyle change. Thank you so much for your kind comments! Oh my do I completely understand the love hate relationship with food! LOL! Malika, first you have a beautiful site. The butterfly banner at the top stunning and such an appropriate representation for a change in well-being. I recently decided I needed to get serious about achieving a healthy weight and the very first thing I did was set up an appointment with my doctor. Very validating it was at the top of your list. Hi Kim! Thank you so much for your kind words about the site. I really appreciate it! And, I also appreciate your comment about meeting with your doctor to discuss your weight loss. I think it’s so common to see our doctors only when we are sick. But, good health and wellness are about prevention. It is important to have those conversations about how to prevent certain chronic conditions by making a few lifestyle changes. Who better to talk to than your healthcare professional about your desire to improve your health? I wish you well on your weight loss journey. Thank you for commenting! This post comes at the perfect time for me. Thanks for the great tips and ideas! Hi Angela! I’m so glad that this post is helpful for you! I wish you well if you are starting a weight loss journey. Thank you so much for commenting! Welcome To The Thriving Lady! Subscribe for access to the FREE Resource Library! The Thriving Lady is a participant in the Amazon Associates Program and earns from qualifying purchases. 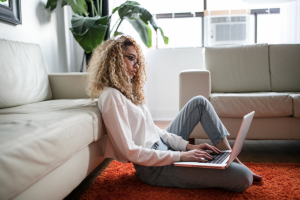 Gain password access to the FREE Resource Library, including subscriber-only videos, spreadsheets, worksheets, and printables created just for you!